Davis has not written on what people don’t know about economics. If he decides to write on the topic, he can begin with Alexandria Ocasio-Cortez lament that she can’t afford an apartment in Washington, DC, but she knows how to find an expansion of Medicare that will cost trillions of dollars and become a money pit like every other government-mandated program. There are a lot of people on Facebook commenting that the newly elected Congresswoman is exposing the lack of affordable housing. There’s a lot of affordable housing across the United States and there’s a lot of unaffordable housing. One of the basic principles of economics is supply and demand. If there is more demand for a product than there is supply, the price goes up. Washington, DC, has limited housing because it has limited land to build on and too many government workers wanting to live close to where they work. Stan Lee, the creator of many comic book superheroes died on November 11, 2018, at the age of 95. The first comic released from Marvel in 1961 was “The Fantastic Four,” a Stan Lee creation. It sold for ten cents. The highest price for a near-mint copy of that first issue sold for $300,000. The first appearance of Spider-Man in Amazing Fantasy 15 sold for 12 cents in 1962. Its record sale was $1,100,000. Why? Limited supply and great demand. The comic book glut of special issue comics of the 1980s and 1990s is a good lesson in economic theory and practice because there are tens of thousands of copies in mint condition. 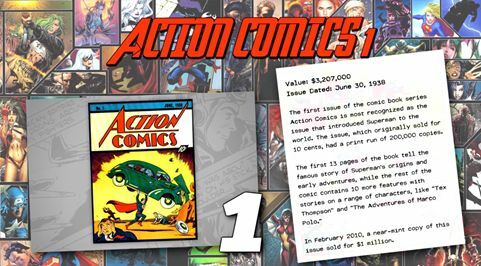 They now sell for pennies on the dollars while a near mint copy of the first Superman comic — Action Comics No. 1 (1938) — sold in 2014 on eBay for $3,207,852. There are estimated to be only 50 to 100 copies in existence out of an original print run of 200,000 copies and only two issues graded 9 out of 10 in terms of condition. Very limited supply and great demand. One way to fix the housing shortage in DC would be to slash the size of the Federal Government. That way, thousands of government employees would have to find work elsewhere. There would be a housing glut, and the price of housing would come done. It would be a win-win. Years ago Virginia Postrel told the Tale of Two Townhouses in the Atlantic. It was pretty simple; left leaning cities made it harder to build while right leaning places were more generous with building permits. Nothing has changed in the intervening decade except the intensity of the resistance not just to Donald Trump but also to new housing and development in large cities, especially on the west coast. And that resistance has even extended to rural areas where water access has been used by urban environmentalists to choke the supply of new housing that could benefit agricultural and aquacultual workers. Democrats want to solve the “crisis” they’ve made by not wanting to welcome growth with new housing by increasing subsidies for “affordable housing,” while at the same time squashing new supply with more and more rules. As I said before, the two-tiered view of housing leads to the view that the market will never produce enough housing for people with less money because builders only want to make luxury housing; therefore we must tax new housing to feed subsidies to non-profit developers. Democrats always have housing policies that are all about one thing: more limits on production and more money for subsidized housing to counter the evils of the market they are limiting. In the end, the Democrat Party gets a steady supply of votes because of the belief that only the government can fix the problem that the government broke and keeps broken.